Boston, USA: March 2014: Reflecting an increasingly common pattern throughout the industry, Peerless Mastering's Jeff Lipton has recently upgraded his SADiE software to V6 and bought a Prism Sound Lyra 2 to use with it. "I've been a SADiE user since 2000 and we have a variety of different systems, including the flagship H16" he explains. "We decided to upgrade to SADiE 6 software so that we could use our Cedar audio restoration tools in all of our rooms. We have three rooms, three SADiE 6 licenses and two Cedar licenses on dongles, so we can now move Cedar to wherever we need it, which is really helpful." Based in Boston, Peerless Mastering is a boutique facility that provides extremely high-end mastering and first-rate customer service. During its history it has completed hundreds of projects for a huge range of clients worldwide, from unsigned independent artists to major-label performers. The result is a remarkably diverse roster that includes the likes of Bon Ivor, Arcade Fire, Hüsker Dü, Ladytron, LCD Soundsystem, Polica, Soul Asylum, Throwing Muses and Jeff Tweedy/Wilco. "We've been around for almost 20 years, starting with just me working for a handful of clients," explains Lipton. "I was always committed to having the highest quality technical and acoustic tools available, so I built the Peerless facility from the ground up working with world-class acousticians to be the ultimate listening and sound-refining environment. 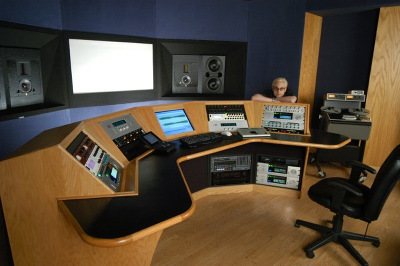 In addition to featuring state-of-the-art equipment and facilities, we also consider it of the first importance to work closely with our clients to ensure they get exactly the results they're looking for from the mastering process." SADiE 6 is the latest chapter in that unfolding story for Peerless. "I think it's great," says Lipton. "It's a super stable, amazing digital audio workstation that allows us to do our jobs very quickly. We are using it as our main DAW in all three of our rooms. We've just used it to help restore and master many new releases for the re-issue label Numero Group in Chicago, as well as albums for Merge Records, Jagjaguwar and Sony." Peerless has recently opened a new room, the C-Room, which will be used mostly by assistant engineers for quality control and restoration projects. This is equipped with a SADiE PCM-2 and the facility's recently acquired Prism Sound Lyra 2 audio interface, which was bought to supply the main D/A converters. "Lyra 2 allows us to have superb quality monitoring so our assistant engineers can easily identify artefacts and problems to fix with the Cedar restoration tools built into SADiE," says Lipton. "It has beautiful converters with incredible attention to detail and comes with first-rate Prism Sound and SADiE technical support." Lipton adds that the high-end products and after sales support offered by Prism Sound and SADiE allows Peerless to give its clients the best possible service, with minimal downtime. "It's rare to find a company that works so hard to help its users through any technical problems and has such an amazing amount of expertise," he says.